Holy crap, we’re at 182% AND COUNTING!! This is day #5! To celebrate, here’s some outtakes from the campaign video. Join the Q & A! To promote this whole Kickstarter thing, and to celebrate hitting the 50% mark in just over one day, we’ve decided to pull back the curtain a little and answer a few questions. Do you have any? This is going to be really awkward if nobody ask anything. Click here to support our KICKSTARTER and Pre-Order our new album!!! THANK YOU!!! Please help us spread the word by sharing this video. We won’t get far without you! 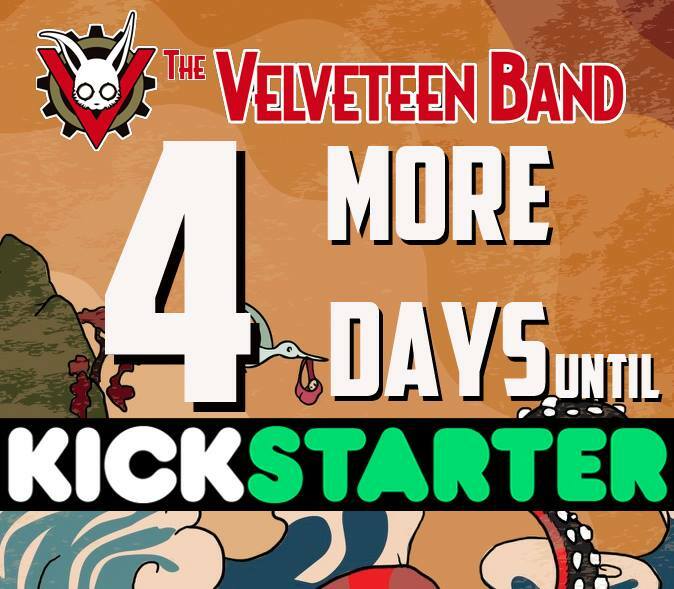 The Velveteen Band will be launching a Kickstarter on Monday, July 24th, to raise funds for printing their upcoming new album, “What’s on the Other Side”. The Kickstarter is basically a pre-order for the upcoming album, but will also feature signed albums, special merchandise, and other leveled incentives. The band hopes to raise $1500 to cover the cost of printing, and digital distribution. On Monday, the band will launch the campaign with a special promotional pitch video, produced by Aaron Levitz, which links directly to the Kickstarter. The pitch video features some never before seen behind-the-scenes and live footage from the past 3 years. The new album, “What’s on the Other Side”, has already been recorded, and is currently being mixed and mastered by Chris Coyle. It will feature 10 songs, and artwork by Claire Flores. 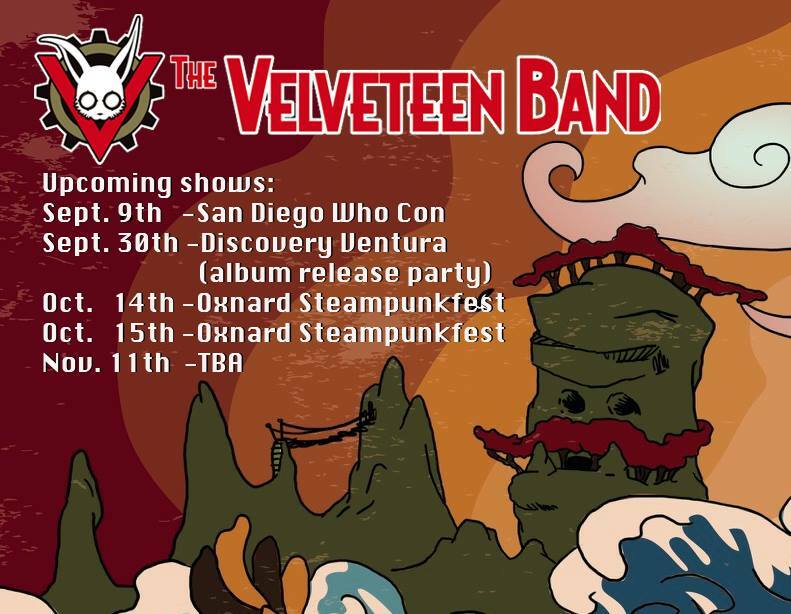 It is set to be released on September 30th worldwide, with an album release party at the Discovery, in Ventura, CA. We wanted to share our upcoming confirmed dates, and a little taste of some of the album artwork by Claire Flores, for our upcoming album, “What’s on the Other Side“!!! Reminder: you can still sign up for updates on our upcoming KICKSTARTER here. Surf Rodeo! We’re comin’ for you! Are you ready to dance? Our puppets are! But they have very different ideas about what that means. Come see us at Surf Rodeo, July 15 at 12:30pm!